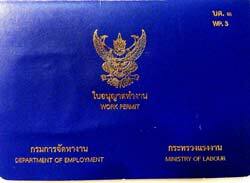 The rules regarding Work Permit in Thailand have recently deeply changed. In the last number we have analyzed the opportunities, the difficulties and the advantages for both, young western nationals looking for a job and retired people, to start a new life in Thailand. Today we will "talk" about a third kind of people who, in this time of profound crisis are, in a constantly growing number, seriously considering the opportunity to start a business or to invest capitals in order to live here. As we all possibly know, the new regulations on visas have radically changed the general scenario and obtain a residence permit is not as easy as in the past. If you are younger then fifty, not married and with no children you will have only two opportunities to live permanently in Thailand: studying (for real and full time!) or working with a proper work permit. 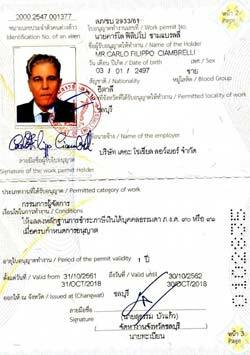 To obtain a work permit a foreigner must be employed by a company with at least two million of nominal capital and four thai workers for any foreigner employed. A foreign national can be the director of a thai company, but can own only 49% of the shares. For the moment at least. Allegedly, by the end of the year, in compliance with the new rules introduced by the "Asian Market", foreign nationals will be entitled to own up to 70% of a Thai company. 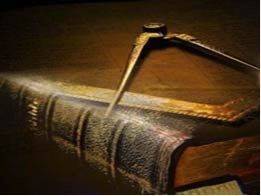 In the very recent past the "escamotage" for most of the small investors and entrepreneurs to keep full control of a thai company, fooling the law, has been to form a new company using thai partners as mere nominees. 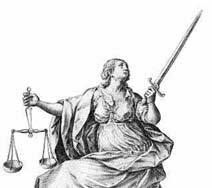 Today, such a stratagem, appears for what it is: illegal and, to say the least, very dangerous. The DSI (Department of Special Investigation), pressed by the government, has started random, accurate investigations to find out and punish transgressors of the "principal of the law" which is clear and simple: a foreign national can not own more then 49% of a Thai company. The remaining 51% share holders (minimum two physical persons) must demonstrate, where inquired, to have the real economic capacity necessary for the initial investment and to really participate to company's dividends as gains, losses etc. I know that for many people who have been living here for a long time, these news look incredible or surprising, but they are absolutely true. Furthermore a "property tax", so often rejected by precedent governments, will be soon introduced as a tax on inheritance. Things are definitely changing in Thailand. This said, Thailand still offers several opportunities to invest and obtain a good return. Real estate, if well pondered, is an example of high return investment. The internationalization of the country due to the growing tourism towards Europe and The rest of the world is changing the restaurant-industry and Thais are more and more keen of western gourmet as, in general, of western products. Obviously it is common sense before investing in a foreign country to get accomplished with it's law, regulations and language. I would like to remind to all potential investors that most of western countries have well organized Chambers of Commerce which will be happy to inform and assist on the very many different aspects of the Thai business world. The Franco-thai Chamber of Commerce prime purpose is exactly to promote business and collaboration between French and Thai nationals, both privates or companies. It organizes business luncheons, meetings, seminars, conferences, often in collaboration with other countries chambers. For all foreigners regularly married or who have legally recognized a minor child, thinks are easier. Regardless one's age a foreign national married to a Thai can obtain a resident permit simply showing 400.000 baht in his bank account or even get one demonstrating the spouse/husband income. The risk to be blacklisted for petty crimes, which is one of the biggest hindrances refraining many foreigners from investing in Thailand, will be minimized in presence of children. Today a foreign national married to a Thai woman (it is different for a woman married to a Thai man) and with children, still has no the right to work without a proper work permit, but he can easily obtaining him having his wife as a "real" partner-shares holder in a company. Finally I would like to underline as, all we have said today, might be totally different soon. As stated, Thailand and all Asia, are on the verge of epochal changes. A very good sign coming from the government is that, for the first time, it expressly asked all foreign Chambers of Commerce to provide opinions and inputs in order to promote, better and develop international business collaboration. I, as Chairman of the Thai-Italian Chamber of Commerce, Eastern Seaboard Committee, had personally the possibility to express in writing my humble opinion on the very same issues above mentioned. In conclusion, without any false moralism, let me say that in my opinion Thailand is still a good very good place to live and invest your legit savings, provided you do respect the laws and you use the appropriate consultants as Chambers of commerce or accredited law advisers. If you are looking for a place where it is easy to evade tax or launder illicit money...then I'm afraid Thailand is not for you. The Social Lawyers Co., Ltd. Legal address: 10/14 moo 9, Nongprue, Banglamung, Chonburi 20150 Thailand thesociallawyerscompany@gmail.com ©2019 all rights reserved.